The conditional approval of a new Interdisciplinary Studies in Sexuality major was announced at Concordia’s first ever Queer Homecoming by principal of the Simone de Beauvoir Institute Kimberley Manning Wednesday night. Manning says it was the right time to make the announcement as the major will have a large focus on issues faced by LGBTQ folks. Manning hopes to get funding from Concordia’s alumni, who made up the majority of the crowd there. “As we start to build the program we’re going to be looking to some of our graduates to help us create new possibilities for new students, whether through internships or coming in and speaking about career trajectories,” she said. Manning is also looking to find ways to develop funding for students who are interested in doing work in social action research along with staff and faculty. “I’m really excited about creating a sustainable model for giving students an opportunity to act on the issues that they’re most passionate about,” she said. 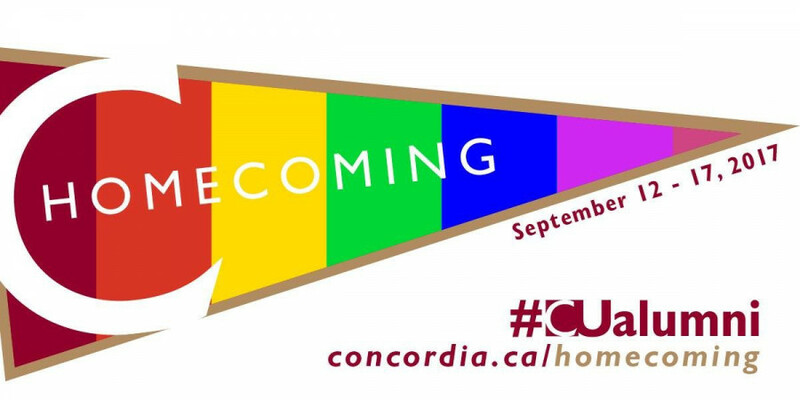 Queer Homecoming was the first ever queer-centric homecoming event hosted by Concordia. Alumni such as Steve Galluccio, Richard Burnett, Manning, Anne Whitelaw, and Tranna Wintour as well as Concordia’s president Alan Shepard spoke to a crowd of about 90 people at District 3 Innovation Centre, about their experience as queer people at Concordia. Queer Concordia leadership was among the volunteers who put together the event. There, Shepard spoke about the discrimination he faced as an openly gay man in Texas and how happy he is to be in a more progressive community. Shepard told the crowd of his son’s friend who was worried about coming out as queer and the consequences he would face. He explained that though we live in a more progressive society, a lot of young people still have anxiety when it comes to their identity. Whitelaw, vice-provost of planning and positioning and an art history professor, reminisced about meeting her partner at the university. “Concordia was a great place to come out and to be queer in the 1990s, although I’m sure that my experience as a white student of privilege was not necessarily shared by everyone,” she said. Whitelaw said she was pleased to still be part of this community and be an openly queer faculty member and senior administrator. “[I’m excited] to mentor and support the next generation of queer Concordians who are bringing a whole new range of issues for discussion and challenging us as an institution to constantly reaffirm our reputation for openness,” said Whitelaw. However, undergraduate student and attendee Despina Xanthoudakis, said that when signing up for the event, adding a prefix was a mandatory field which contained no gender-neutral options aside from Dr.